Jomtien is a really good area of Pattaya if you are thinking of dining out. Jomtien is a lot more laid back than Pattaya City and the large resident expat community has given rise to some excellent eateries. 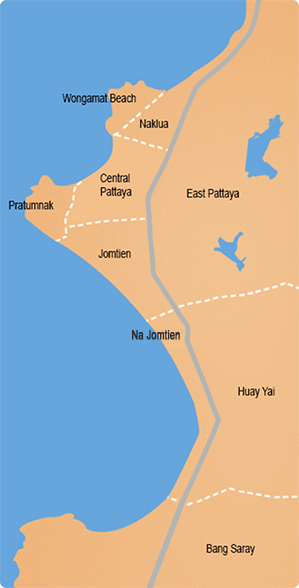 Because it is fairly compact, Jomtien is easy to navigate and get around. The main two roads of Thappaya and Thepprasit have all kinds of restaurants for every budget to tempt hungry diners. As you progress to Jomtien Beach road and Jomtien Second road then the choices become even more extensive, here we look at some of the top restaurants in the Jomtien area. Bruno’s was one of the first fine dining restaurants in Jomtien. The choice of dishes is extensive, mostly of a high International type cuisine. There is even a walk-in wine cellar with nearly 200 different labels to choose from. Often touted as Pattaya’s best Italian restaurant especially by it’s regular clientele. First opened in 2006, Gian’s prides itself for featuring authentic dishes using only fresh and top ingredients. Alongside Pizzas and Pastas, Gian’s offers delicious risottos, steaks, seafood and a eucalyptus wood fired oven. Listening to French being spoken by many of Natan’s patrons is an endorsement to their authentic French cuisine. It really is a home from home with excellent and attentive service not to mention mouth watering dishes. The menu is quite simplistic but well balanced and the food is definitely value for money. 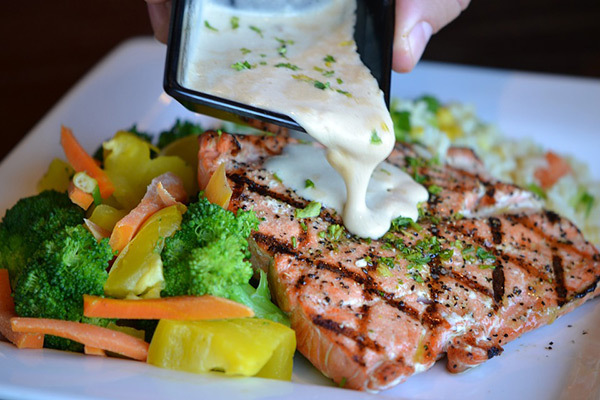 The fish dishes are particularly fine and you would expect to pay a lot more for the delicious steaks on offer. Linda’s is one of the more established restaurants in Jomtien and has a large and loyal following of local diners. Most of the time Linda is on hand to help you with menu selection which is not solely Norwegian. The restaurant has two dining areas, an al fresco outside seating area and a more traditional air conditioned dining room. Portion sizes are large and the pricing is moderate, there are rotating daily specials to choose from to keep the regular clientele happy. A remarkable open air restaurant facing the sea. Expect to be pampered Thai style with some excellent Thai fusion dishes at very reasonable prices. The seating arrangement is ultra modern and chic with the focus on live music when possible. One of the foremost restaurants in Pattaya over the last twenty years. Be prepared to be pampered and cosseted with service par excellence. Probably some of the finest food to be presented in the whole of Pattaya and with one of the most extensive wine lists. Check out the daily specials board for some tantalising tasty offerings. A modern Scandinavian restaurant in a prime location overlooking Jomtien beach. Akvavit offers daily specials and lunch buffets at a really reasonable 335 baht. They offer an after the beach Happy Hour where you can take an aperitif or two before dining. If you are in the process of moving to either Pattaya or Jomtien then you will more than likely spend some time in one or more of these top quality restaurants. If however, you are still contemplating buying a condo or looking to rent a house in the area then do please take a look at our pages.